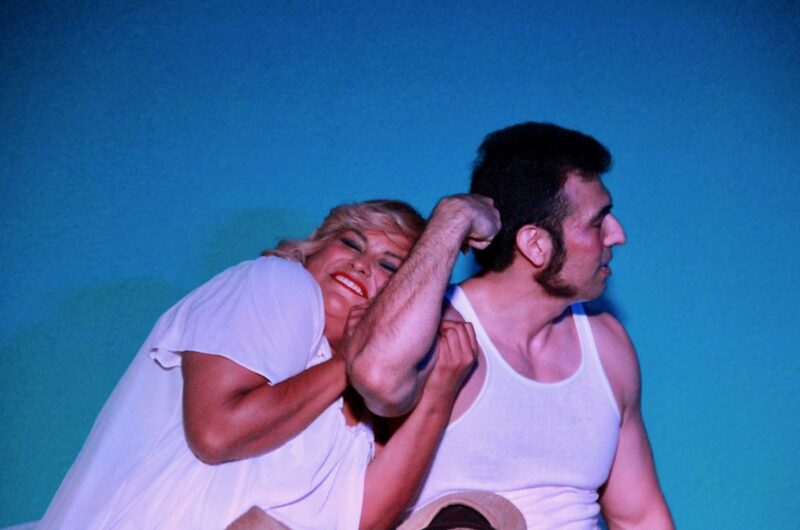 Atenea Garza plays Pala and Gustavo Saucedo plays Luis in the original play “Tales of The Hidalgo Pumphouse” at the Pharr Community Theater in Pharr, Texas, on Aug. 22, 2018. To Pedro Garcia, the old Hidalgo Pumphouse is a magical place. Garcia, co-author of the original play “Tales of the Hidalgo Pumphouse,” grew up swimming and fishing in the water that would collect in the basin beside the pumphouse during the blazing South Texas summers. The play is being presented through Sunday at the Pharr Community Theater. Before the building became a part of the World Birding Center, Garcia and his friends would birdwatch there before they even knew there was term for it. “There is something magical about the huge old building with its aluminum exterior, some of it brown from years of baking in the hot sun and from weather aging, sitting tall, strong and mysterious,” said Garcia. 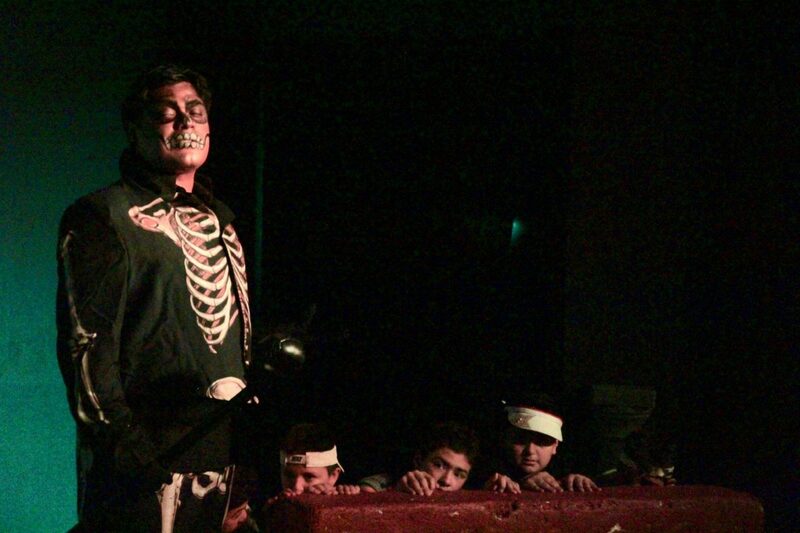 Francisco Crisanto plays La Muerte in the original play “Tales of The Hidalgo Pumphouse” at the Pharr Community Theater in Pharr, Texas, on Aug. 22, 2018. 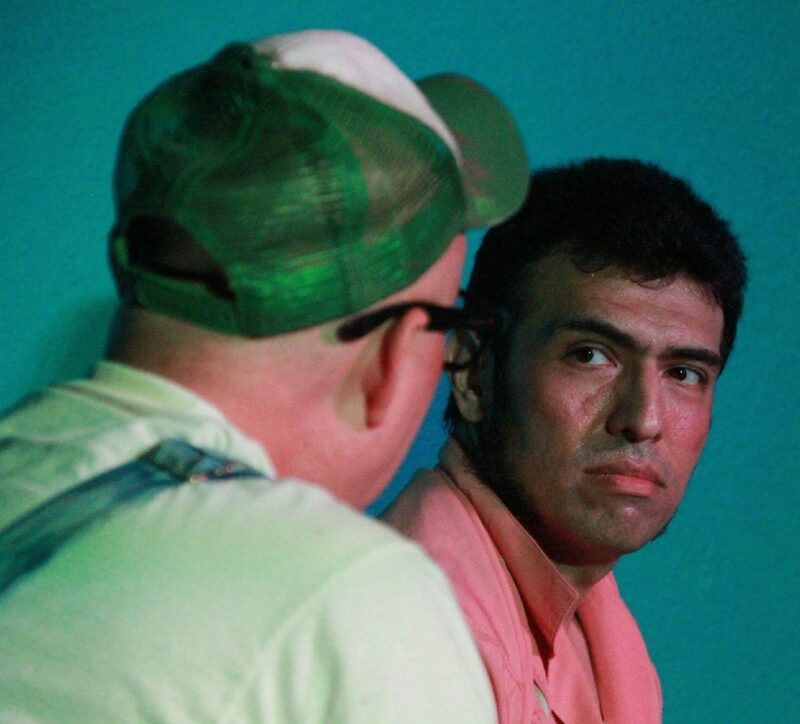 Gustavo Saucedo plays Luis in the original play “Tales of The Hidalgo Pumphouse” at the Pharr Community Theater in Pharr, Texas, on Aug. 22, 2018. The Hidalgo native describes the “hiss and clank, hiss and clank” noise the building would make as the “the heartbeat of the city,” which has grown substantially since the pumphouse closed in 1983. Today, the building is grazed by the border wall and subsequently the politics that comes with it, Garcia said. Garcia and his co-author and uncle Lucio Rivera wrote and developed the play in an effort to make sure those stories don’t die out and engage a new generation in local history with a bit of folklore. The play is set in the Rio Grande Valley in the 1970s, has a bilingual script and features characters such as La Llorona, La Lechuza and La Muerte. Sergio Luna, 22, played El Hombre Sin Cabeza, a headless ghost that is said to roam the Hidalgo Pumphouse. “I look more like a pirate than a ghost,” Luna said, adjusting rubber cushions that help form the illusion that he’s headless. He, too, sees a value in telling local stories through theater, particularly when you can get a laugh out of it. “If we add a little humor to the story, it’ll be interesting and memorable,” Luna said. This is was the first time Luna has acted in a play. He lives with autism, and he said that on top of all the history he’s become familiar with now, he’s also overcome obstacles he’s had in the past and has become more social and outgoing because of the experience. WHEN: Aug 22-25, 7:30 p.m. and Aug 26, 3 p.m.
WHERE: Keith Michal’s Performing Arts Center (Pharr Community Theater) at 213 W Newcombe Ave., Pharr. COST: $6 kids under 12; $8 seniors, veterans and students and $10 general admission. For advanced tickets call (956) 239-0412. Tickets will also be sold at the door, starting one hour before curtain upon availability.